The Mechanix FastFit Safety Glove is built using ANSI-107 compliant reflective and fluorescent materials to make you more conspicuous in hazardous working environments. The anatomically cut two-piece palm eliminates material bunching for maximum control and the elastic cuff provides a secure fit with easy on/off flexibility between tasks. 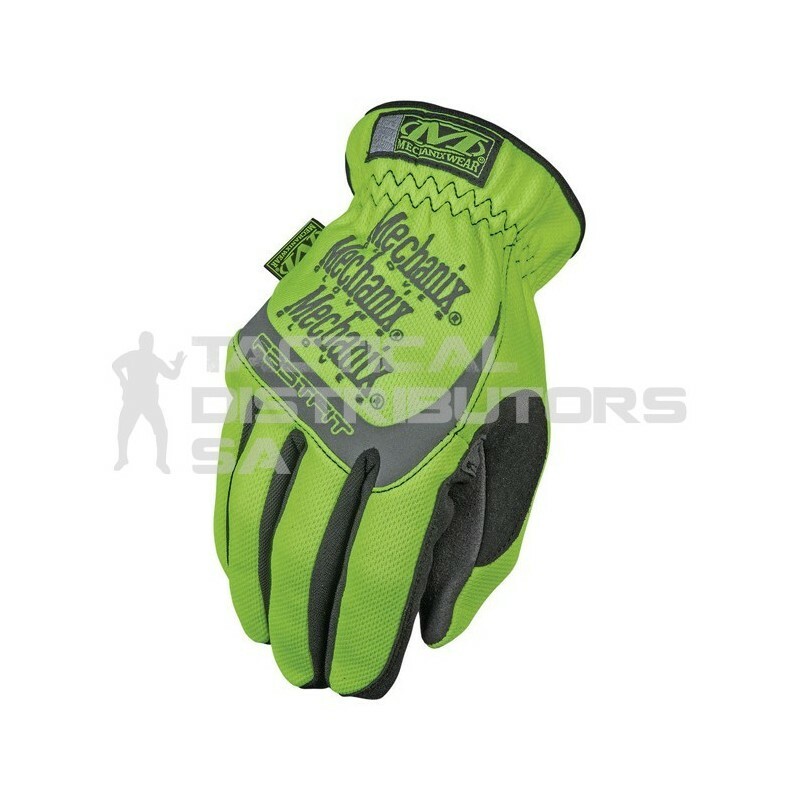 Features Fluorescent ANSI-107 compliant TrekDry material, High visibility reflective strip and hi-viz print, Elastic cuff provides a secure fit, Reinforced thumb and index finger, Machine washable.